Beach by Bobbi Brown / Gee Whiskers! Perfume is one of the things that I absolutely adore - I always have to look the other way when I pass a perfume stand because I can quite easily fall into the trap of buying without considering the costs. So I generally do not buy perfume for myself, I usually get them as gifts. However, I made an exception recently and purchased Bobbi Brown's Beach. I have wanted this fragrance for a really long time. To me it fully embodies summer - it is light, fresh and feminine. Bobbi Brown created this fragrance in 2009 inspired by her love for the beach. 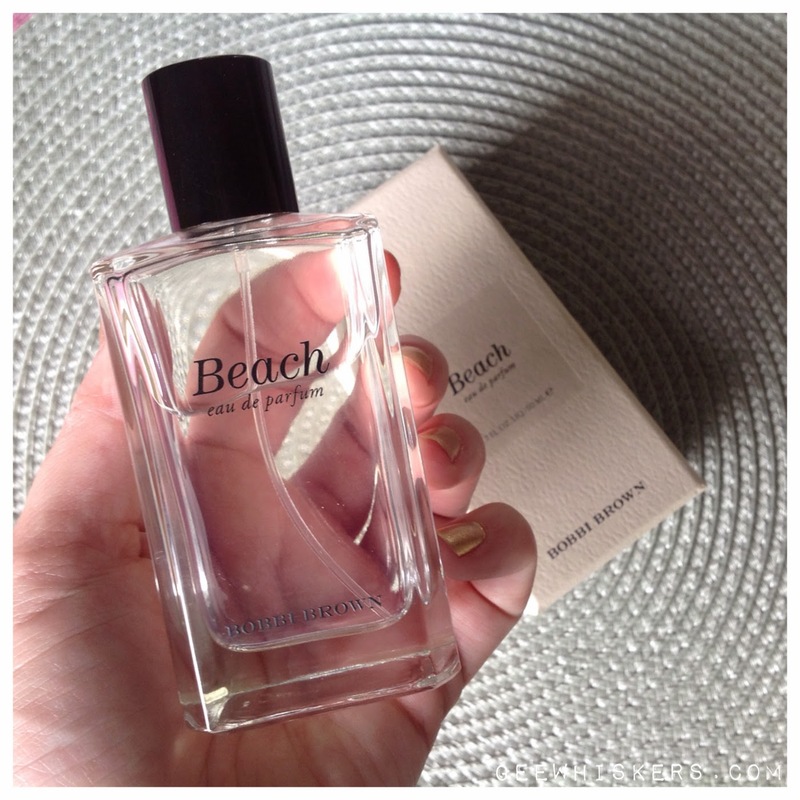 Beach combines sand, jasmine, sea spray and mandarin. What I love about this perfume is that it is not an "in your face" kind of perfume. It appears to be quite subtle after a while but this is not the case - it has a beautiful soft presence that is never overwhelming. To me that is how a perfume should be. I find this to be such a classy perfume. Something that I can see myself replacing once I finish this bottle. A 50ml bottle costs R795 - which is not bad at all for a bottle of its size. This is a must for anyone who loves to wear perfume.